It’s fair to say that I’ve driven on most of the paved roads in Northeastern Ontario, all the way from North Bay to Thunder Bay. But there are still a few spots I haven’t explored. 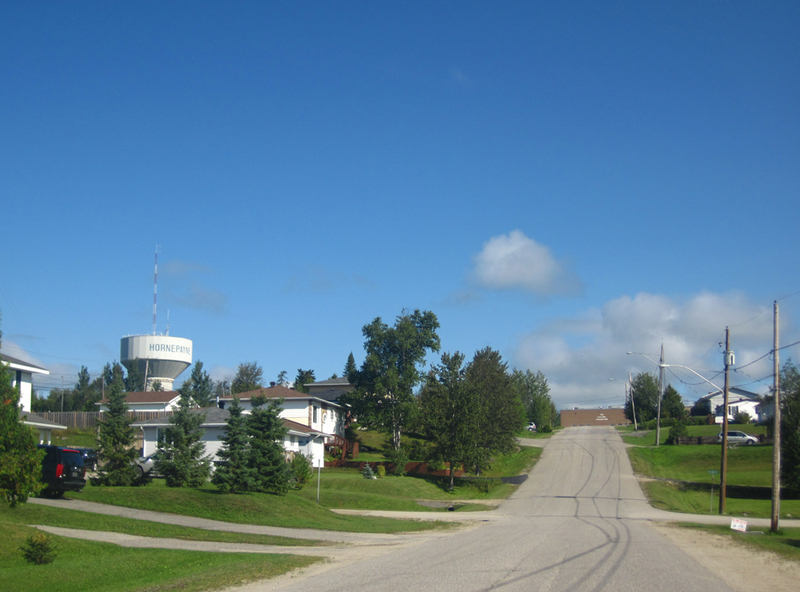 I’ve always wanted to see the area north of White River, especially Hornepayne, a town located northeast of Lake Superior. Don’t ask me why, but it’s always bugged me that I’ve never been there. 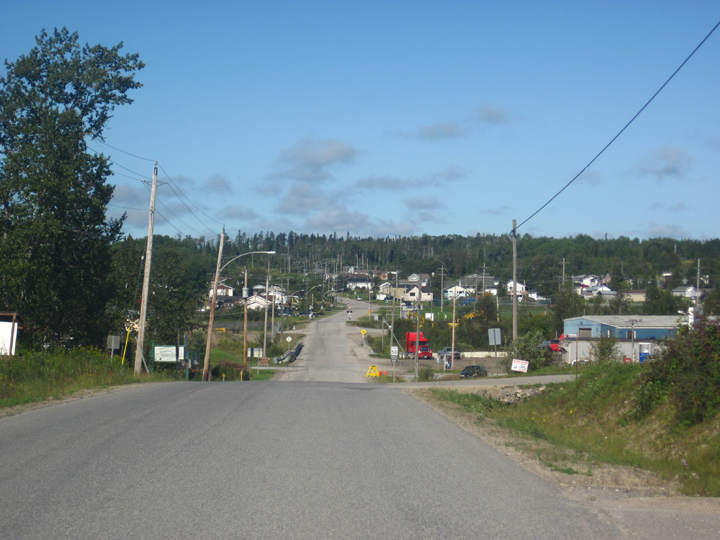 This past summer, I happened to be in the neighborhood (meaning being within 100 km) so of course I had to check it out. 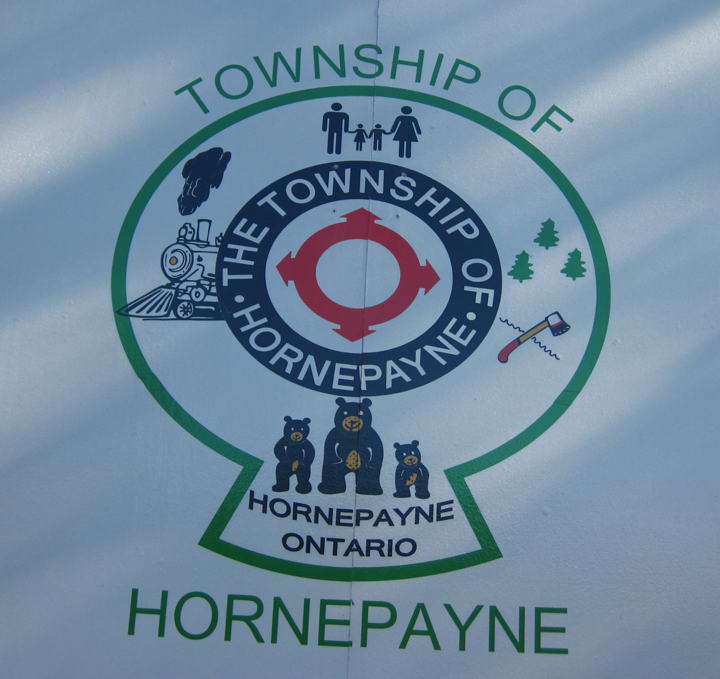 Junior Bear already liked the place, as the town logo had BEARS on it. .
Hornepayne’s population is about 1000. 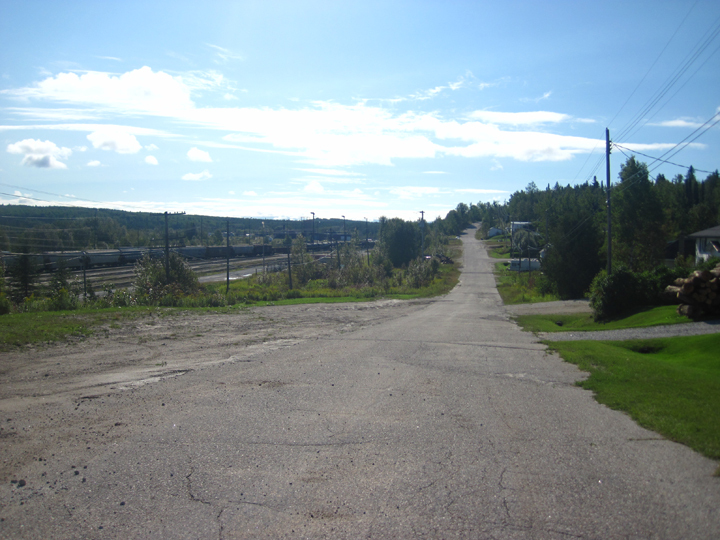 It’s basically a railway town out in the bush. 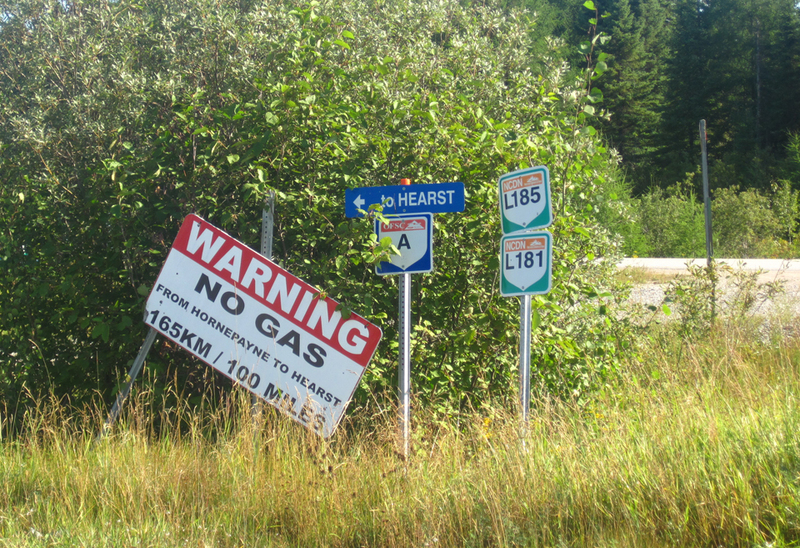 You know you’re in Northern Ontario, when you have to worry about finding the next gas station within 60 miles. I’ve never seen gas stations this far apart in the Lower 48, except maybe the Utah desert or Death Valley. 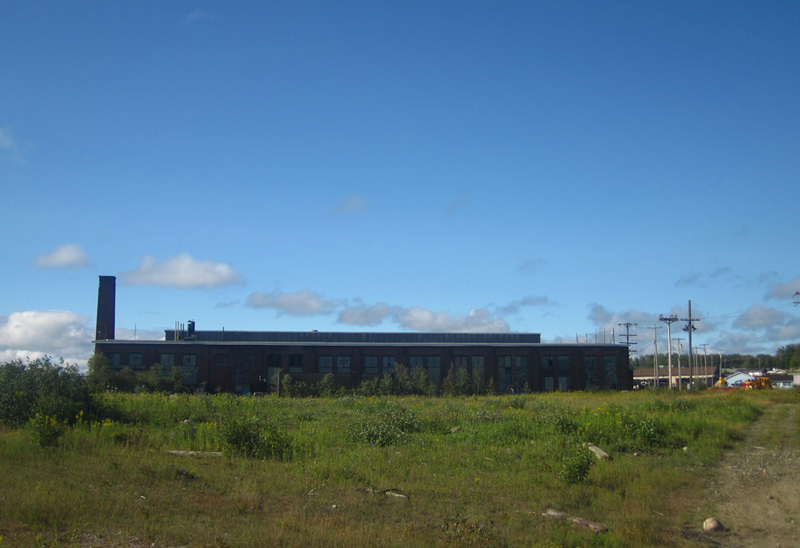 Of course, there are the mandatory closed-down buildings and failed businesses. 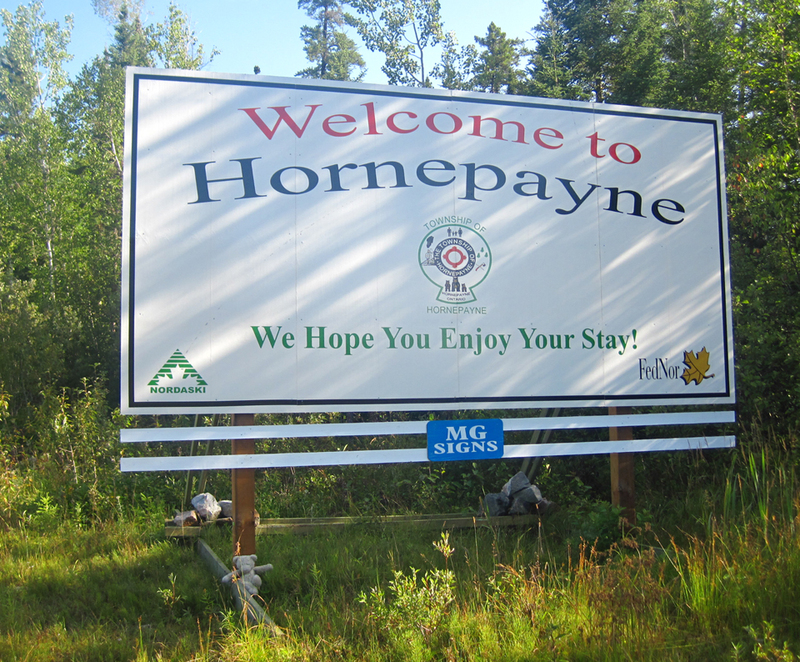 The economy of Northern Ontario has seen better days, and Hornepayne is no exception. 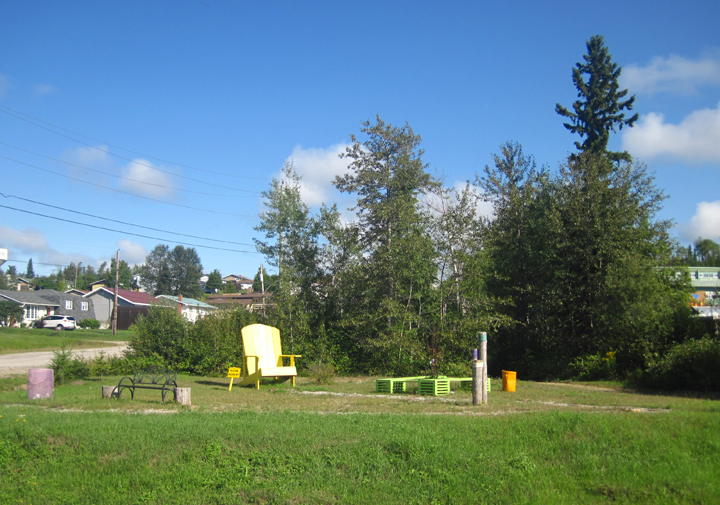 …where I came across this park with brightly colored playground benches. I guess this was the towns’ attempt to cheer up the place. Though, as one of my Facebook friends pointed out: “This is the most pathetic park I have ever seen”. I kinda felt sorry for it. 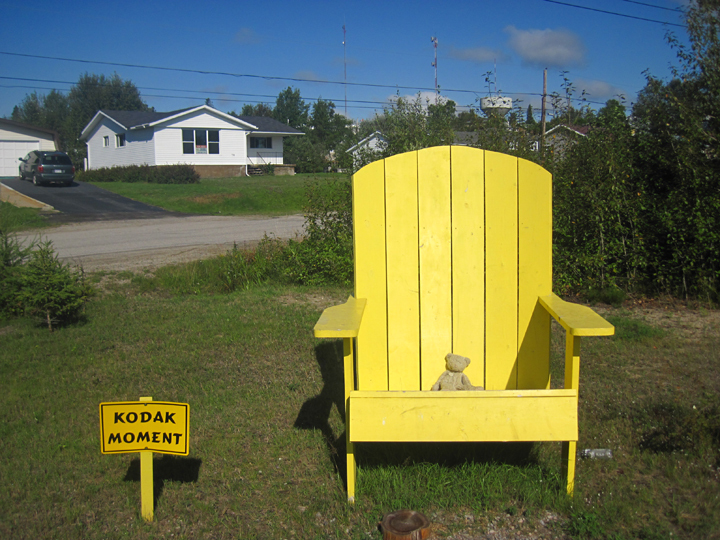 A sign invited people to sit in the big chair, for a “Kodak Moment”. I doubt any of todays’ kids would even have a clue what that means, but Junior was happy to oblige. 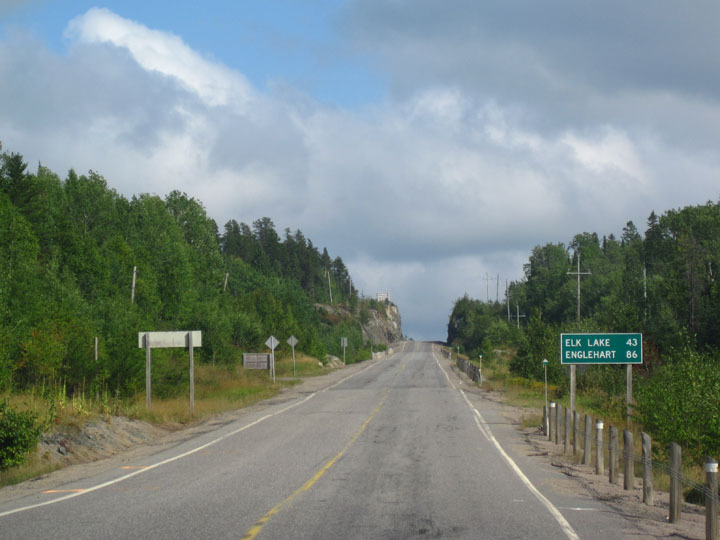 The other stretch of road I saw for the first time was Highway 560 the between the Watershed Car and Truck Stop and Temiskaming Shores, north of Sudbury. 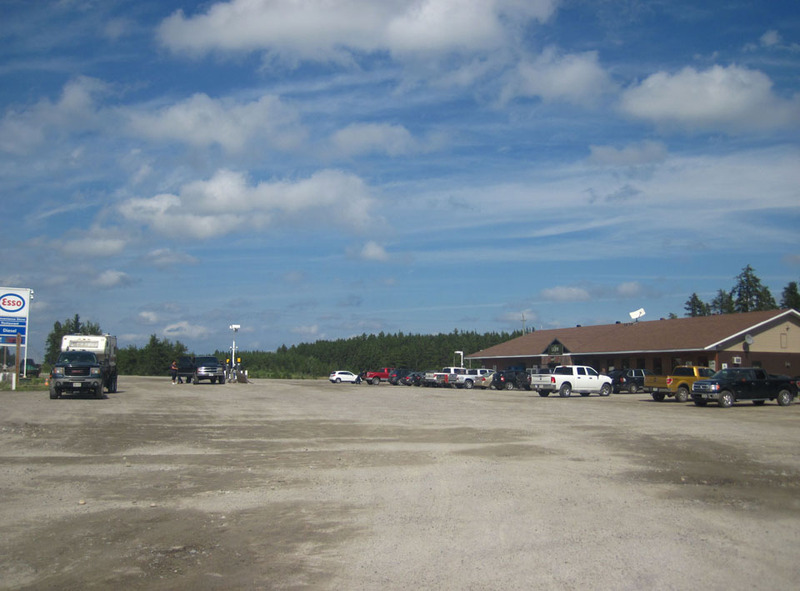 The Watershed Truck Stop is not much to look at. It’s just a modest coffee shop/restaurant with a dirt parking lot and some gas pumps. But it’s actually quite a significant landmark. 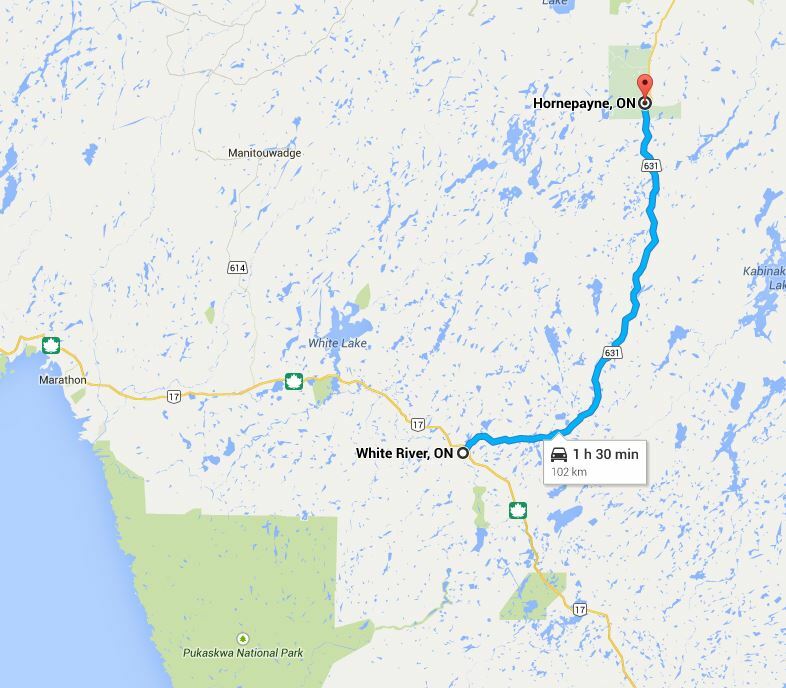 It’s the only place to get gas and coffee in the lonely 300 km between Subbury and Timmins. It’s always busy. It’s called the “Watershed” because it’s located at the approximate boundary of the arctic watershed (i.e. 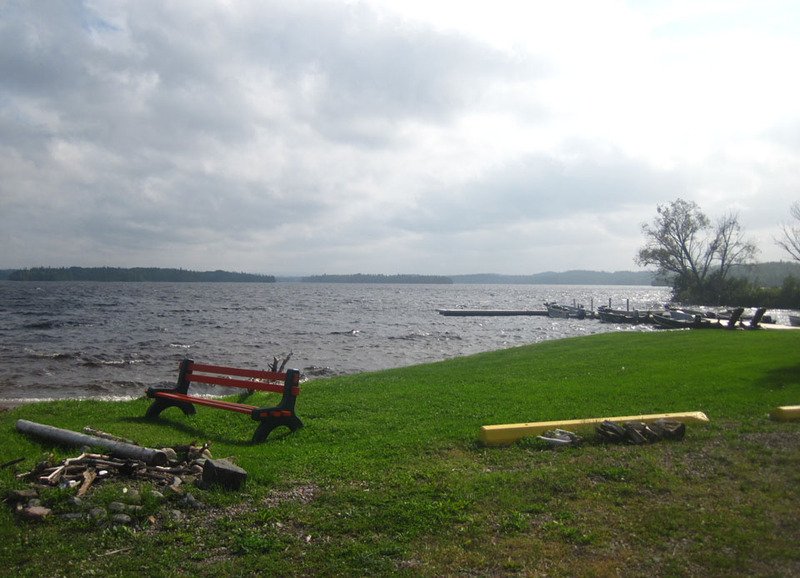 the point north of which all the lakes and rivers all drain into Hudsons’ Bay instead of the Great Lakes). Heading East on Highway 560, I found a lot of ugly clear-cuts. 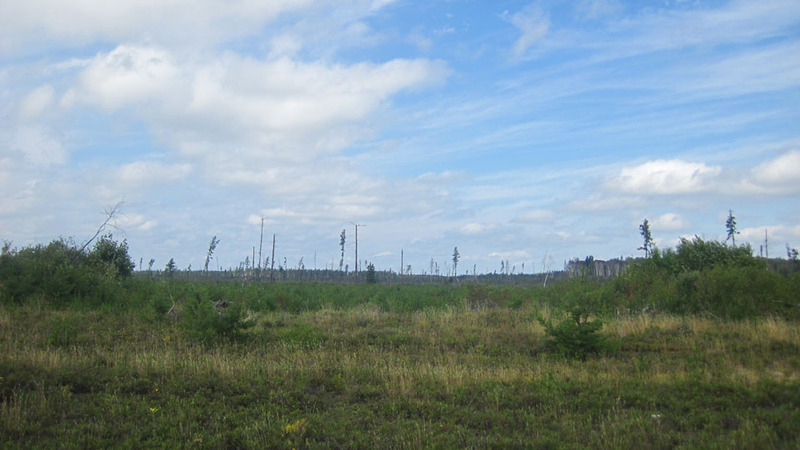 Of course, there is logging everywhere in Ontario. But further south, at least it’s somewhat hidden. 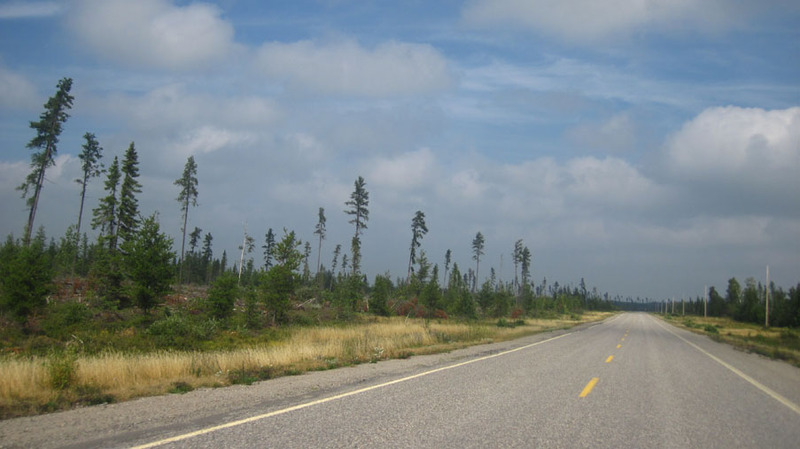 There’s usually a buffer of forest between the logging operations and the highway or lakes, in order to preserve the semblance of untouched wilnderness. . 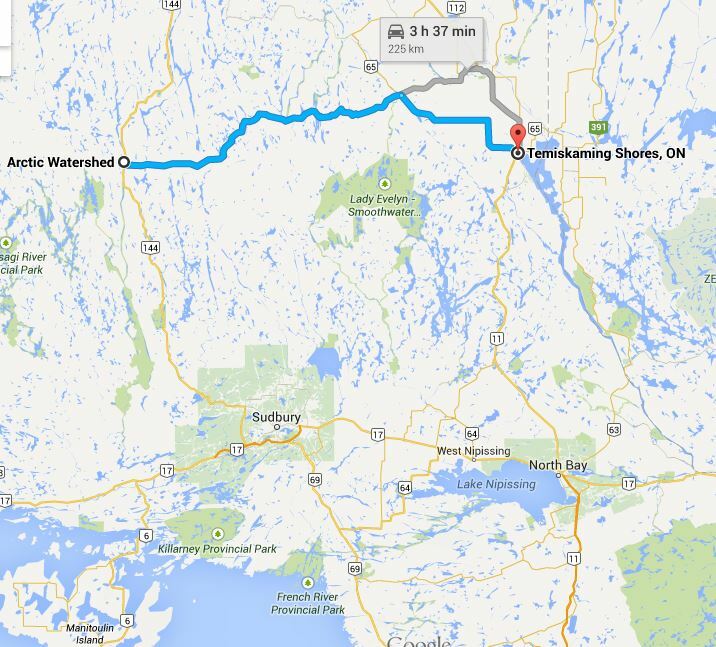 But once you get up past Sudbury, they don’t’ even bother. It’s like logging companies stopped pretending to care. 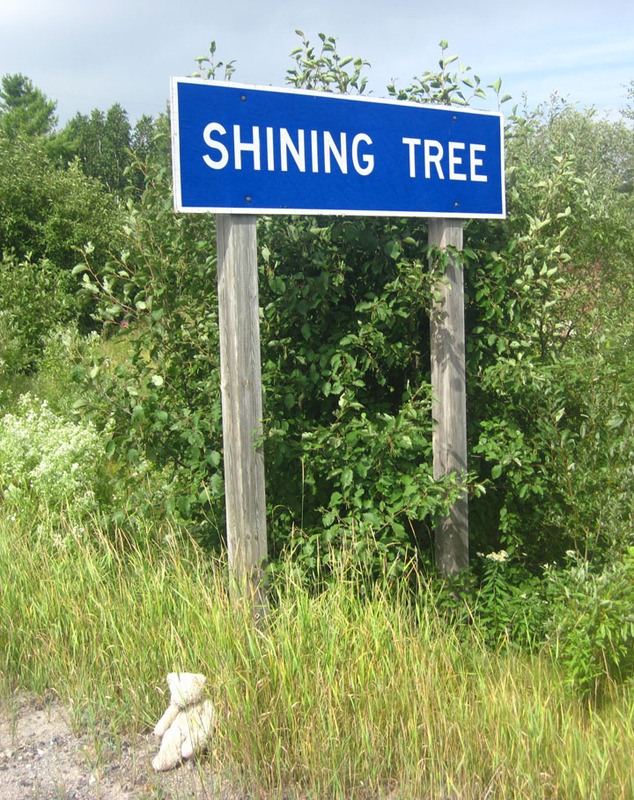 aNext was the town of Shining Tree. I don’t even know what the population is. It’s so small Wikipedia only has two sentences about it. 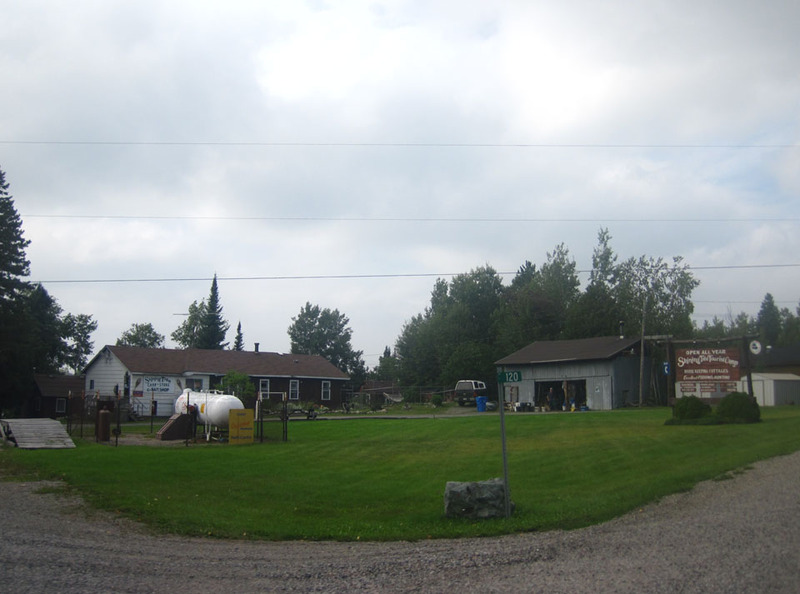 The village is basically a fishing lodge surrounded by a few buildings. 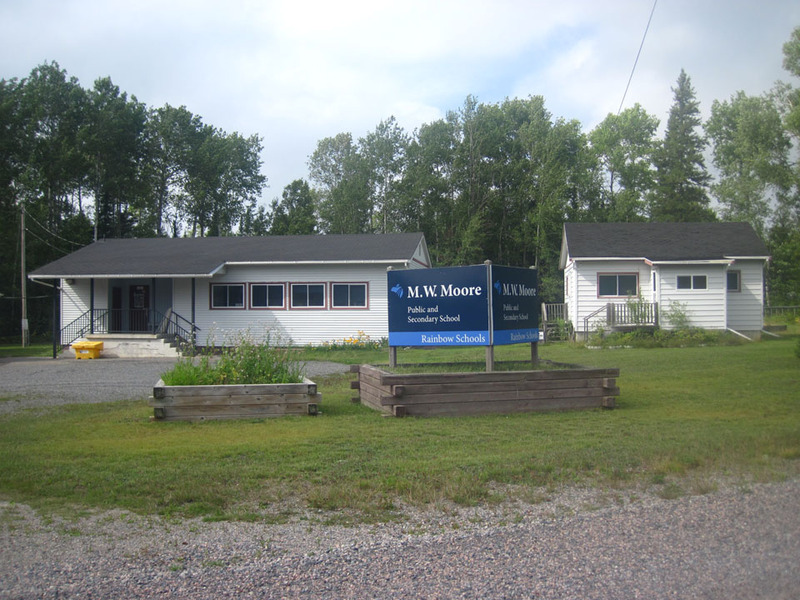 Though it has a school that appears to be in use and surprisingly quite well-maintained for such a small local population. I wonder who goes to high school here? How big would the graduating class be? Two? 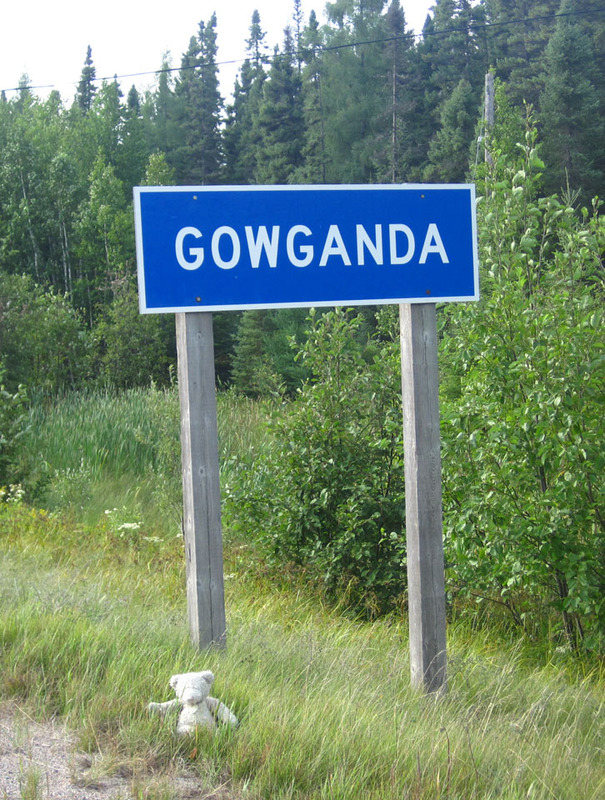 Next was the slightly larger town of Gowganda. It has a major motel and some fishing lodges. 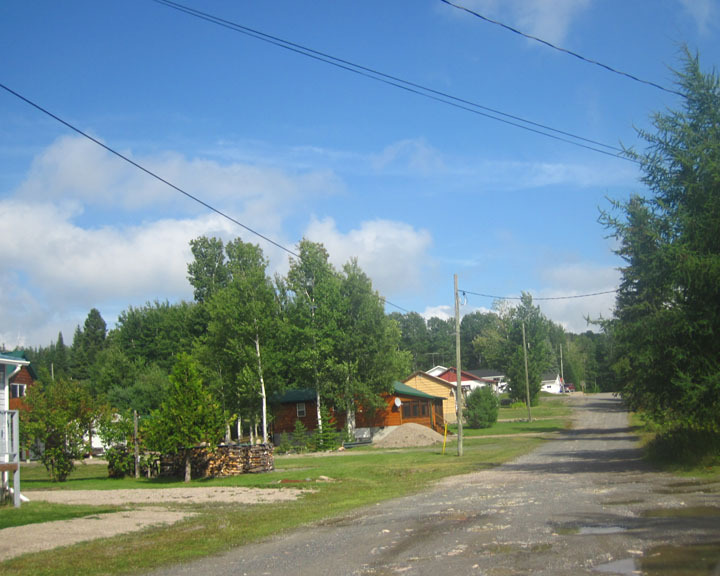 And lots of cottages around a lake. By this point, things were starting to feel more crowded. 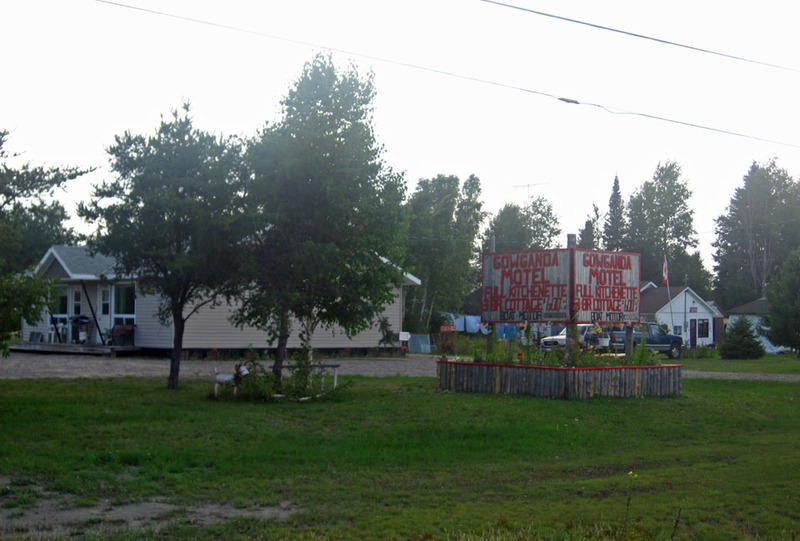 There were more cottages and more motels. I was south the Arctic watershed and back in the Great Lakes drainage basin. And the gas stations were more frequent. 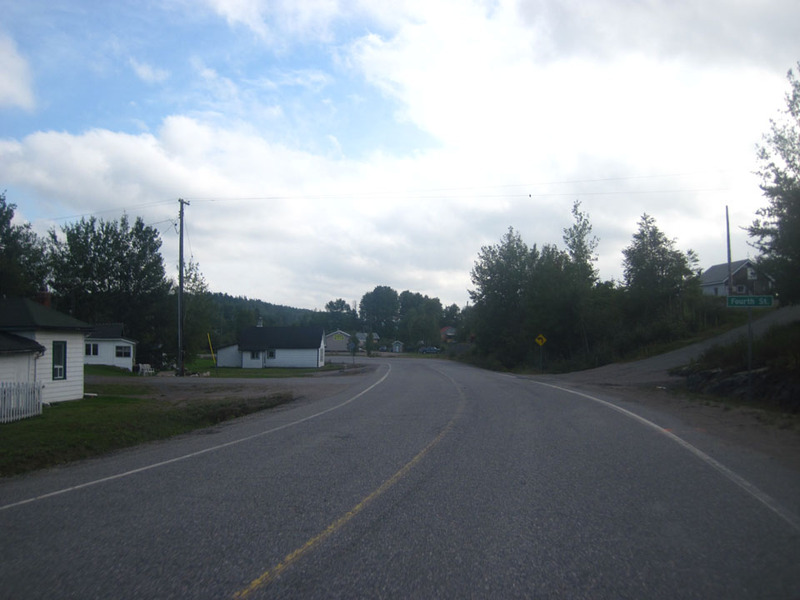 I only had 43 km to get to Elk Lake, where the forest petered out and farmland started again. 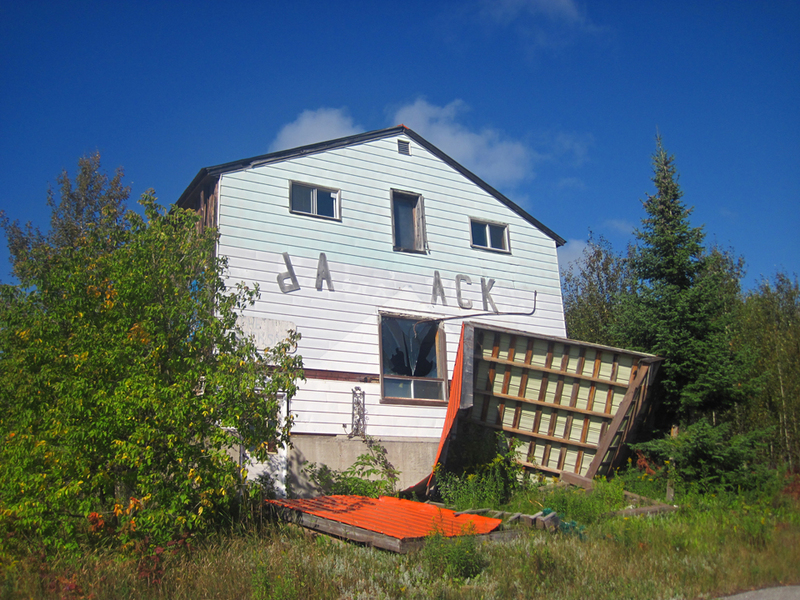 Even though I was still “way up north” compared to Toronto standards, that “northern feeling” of wilderness and remoteness was gone. I was returning to civilization, and it was time to go home. (Which was still 6 hours away). This entry was posted on October 28, 2014 at 11:35 pm and is filed under Uncategorized. You can subscribe via RSS 2.0 feed to this post's comments.